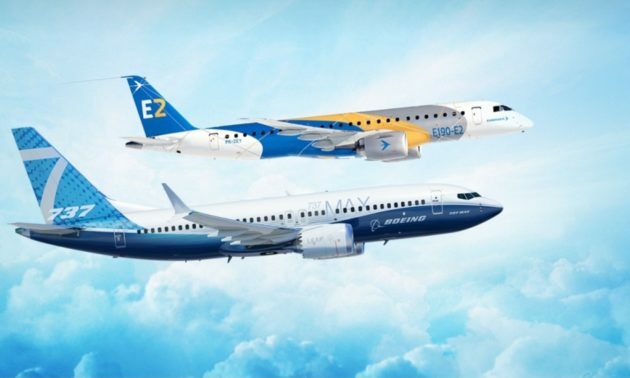 The Boeing Co. has not yet decided to proceed to develop its “New Midsized Airplane” (NMA) but it may soon decide whether to offer the prospective jets to commercial airlines and leasing agencies. If there is a market for the NMA, or the 797 aircraft, as it is sometimes called, Boeing would have to make its decision to launch development and production in 2020. This is because the OEM would need to introduce the aircraft by 2025, to preserve its market share once the current aging fleet of Boeing 757 and 767 jets reach the end of their service life. This is the scenario outlined by Boeing Chief Executive Officer Dennis Muilenburg in a conference call on earnings. He made it clear to investors and analysts in the conference call that the decision on the NMA project would depend on the upcoming choice to test the market’s interest. The New Midsize Airplane is projected to have two models: a 225-passenger jet with a range of 5,000 nautical miles (9.300 km); and a 275-passenger jet with a range of 4,500 nm (8,300 km.) Reportedly, Boeing projects market demand as high as 4,000 units for such an aircraft. The NMA is a separate initiative from any potential programs Boeing may introduce after completing its expected joint-venture with Embraer S.A.
Last summer, Boeing issued “request for proposals” from major jet engine designers concerning high-thrust, low-fuel consumption engines. Previous articleUK’s ‘highest taxpayers’ revealed, but which top earners DIDN’T make the list?